Youth! Rebuilding! Pamphlets! 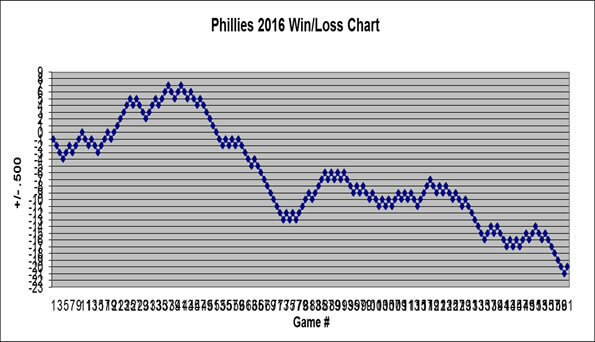 It is a time of great change for the Phillies. After persuading himself (or trying and failing miserably to convince fans) that the Phillies still had a chance of winning prior to consecutive losing seasons, Ruben Amaro is now a man with a plan (or a man delivering a plan dropped on his desk from Pat Gillick with a sticky note stating DELIVER THIS MESSAGE OR DIE). MLB Trade Rumors is a site which describes themselves as "a clearinghouse for relevant, legitimate baseball rumors." Each week at Phils Baseball, we grab the latest rumors from their Phillies rumors page and put it all together in one weekly post. The Phillies have too many bad contracts and Pat Gillick says the Phillies won't compete until at least 2017. So what are the Phillies hoping to do now? Sign the richest contract ever for a Cuban player on a team that will not compete for at least the next couple years, of course. Yes, and it makes perfect sense. 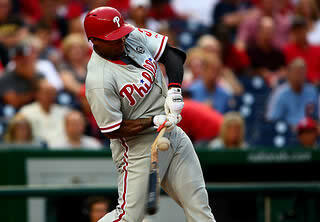 Marlon Byrd is the most popular trade target on the Phillies roster, said Ken Rosenthal of FOX sports last week. With Pat Gillick also announcing that Ruben Amaro has "put a 'For Sale' sign out there on everyone," it is almost a foregone conclusion Marlon Byrd will not return to the Phillies in 2015. 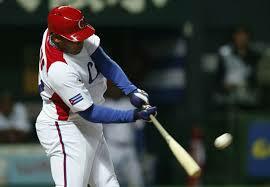 David Murphy considers it a near fact that Marlon Byrd will be traded. He writes, "Marlon Byrd is going to be dealt this offseason. There are simply too many teams in need of a corner outfielder and too few options on the free agent market to think otherwise." When Ryan Howard's Phillies contract expires in 2017, he will have amassed a wealth of over $190 million in career earnings. But, as many star athletes have discovered, there is a price for such a fortune. For Ryan Howard, his financial success may have cost him his family. David Murphy wrote this week about a legal battle in which Ryan Howard's brother Corey sued him for over $2.7 million. Murphy presents the sad and sobering tale, but reading the actual legal documents is far more disturbing. Howard's case is similar to most, filled with lots of legal jargon, but it also gives a surprisingly descriptive and clear account of how everything went down. So I present to you the key items directly from the legal documents in the exact order they appear along with a few brief comments from myself in italics. I will admit this is a bit long, but the descriptions, especially those in Ryan's Counter Claim, give a solid account of this disappointing case. We begin with Corey's lawsuit followed by Ryan's Counter Claim and Ryan's Second Counter Claim. Ryan Howard asked us last season if we wanted to switch places with him. If he asked that question now, I might have to say no. OK, well, yeah, I'm totally taking that money, but now that Howard's legal battle has essentially ended his relationship with his brother Corey and his parents, it would certainly cause me to hesitate at least for a second or two. In the eleven years Howard has been with the Phillies organization, I read plenty of stories about his wonderful upbringing. Take the families of Eric Lindros and Donovan McNabb, remove the whininess and nastiness, and you have the family of Ryan Howard. You've been dreading this moment all year. It starts at the head of the table with Uncle Harry giving his 10 minute spiel on all the wonderful things to be thankful for. Then he passes the drumstick around until it finally gets to you at the little kids table where you stand up wearing Gramma's ugly white knitted sweater with the globlet of gravy stain still ever present from 10 years ago. This year, it will be as awkward and painful as ever, but at least now you have one less thing to be thankful for. If you want a national writer with major connections, the craziest stats you can imagine, a good pulse on the Phillies, and an unbiased opinion from a guy very much biased towards the Phils, you want Jayson Stark. And when your home team is involved in major trade rumors, it gets no better than Mr. Stark.